Can I use this with front disk brakes? I can see this frame is set up for rear disk brakes and Rohloff hub. Is the fork set up for disk brake as well? If not, which additional fork would I have to also purchase to match this frame? Can I use a rear 650b wheel in this frame? 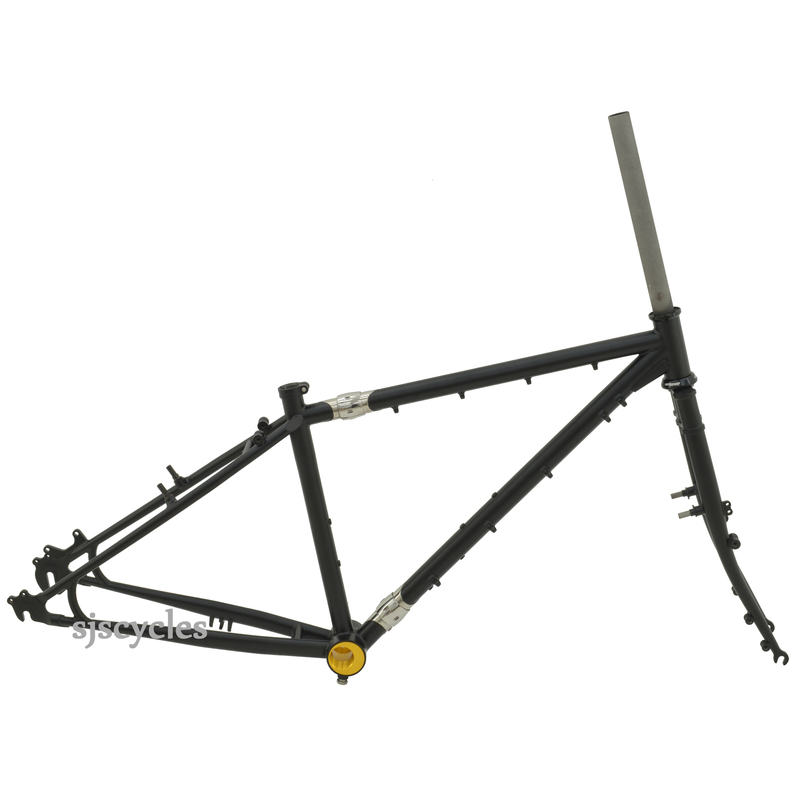 I would like to buy this frame with the new 650b disc fork , instead of the vbrake fork.. Is that possible? Unfortunately as this is a set frame and fork set that would not be possible im afraid.